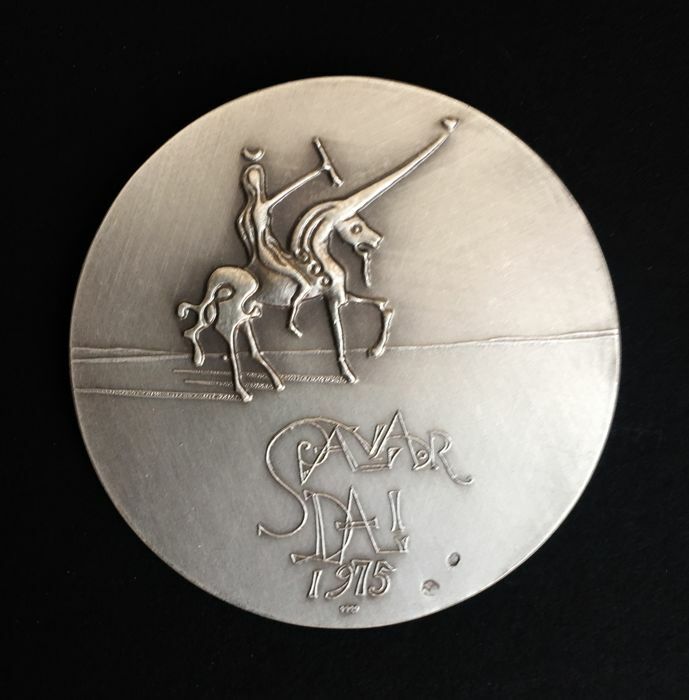 Silver medal designed by Salvador Dalí in 1975. 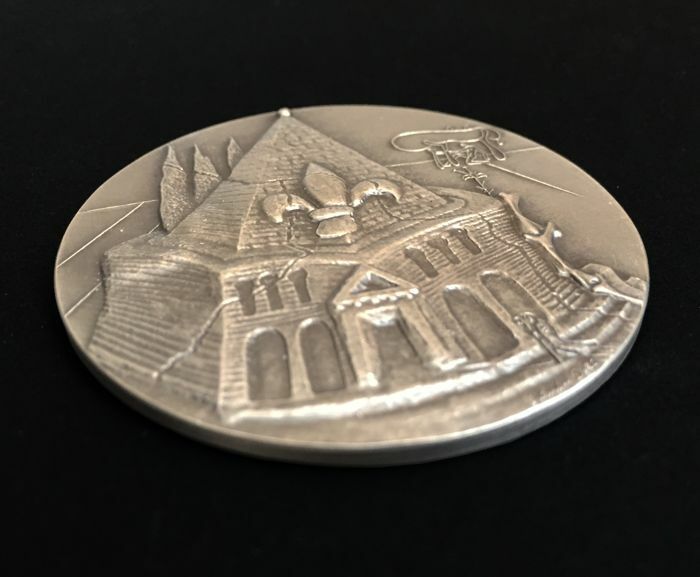 From the ‘Los Diez Mandamientos (Ten Commandments) collection and representing the tenth commandment: ‘You shall not covet your neighbour's goods’. 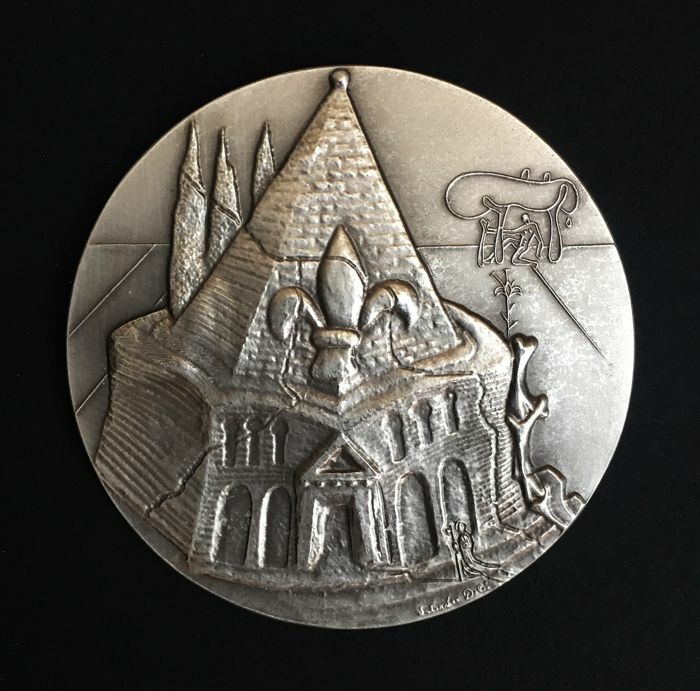 999 fine silver medal, with an approx. 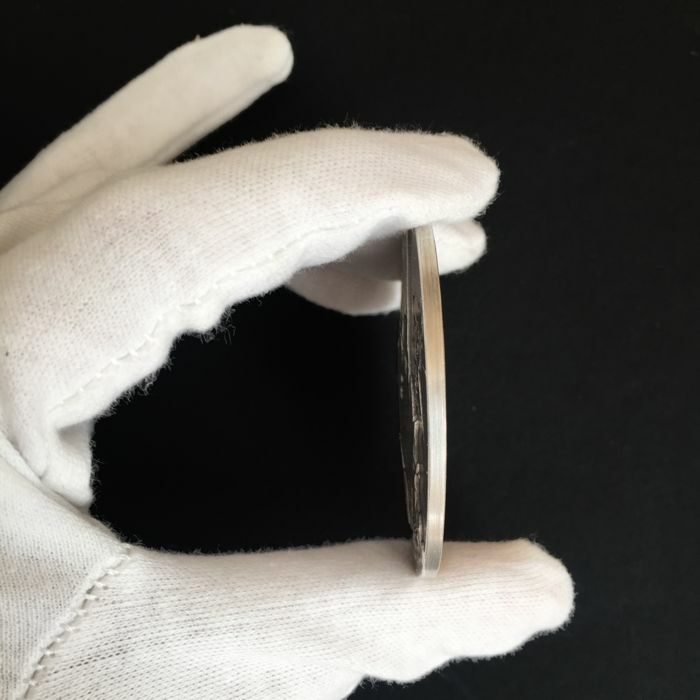 weight of 50 grams and Ø of 5 cm. 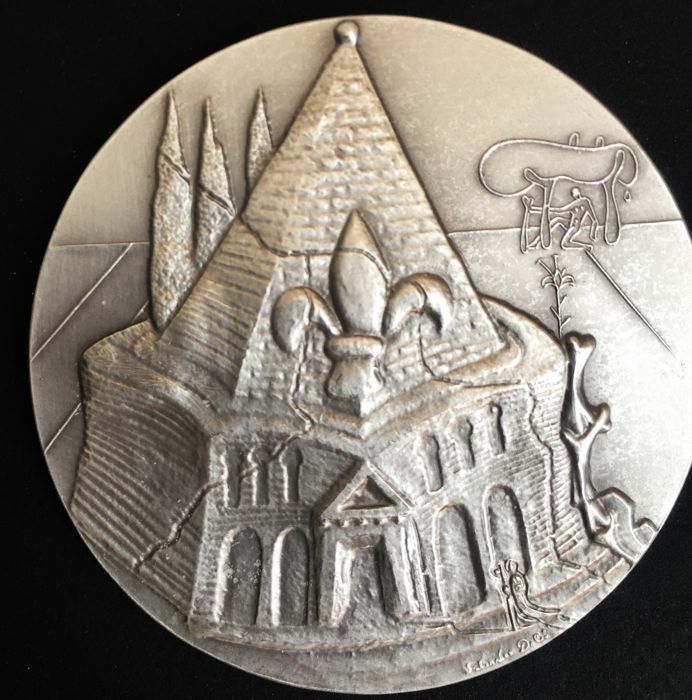 Manufactured in Italy in 1975 in a limited edition. 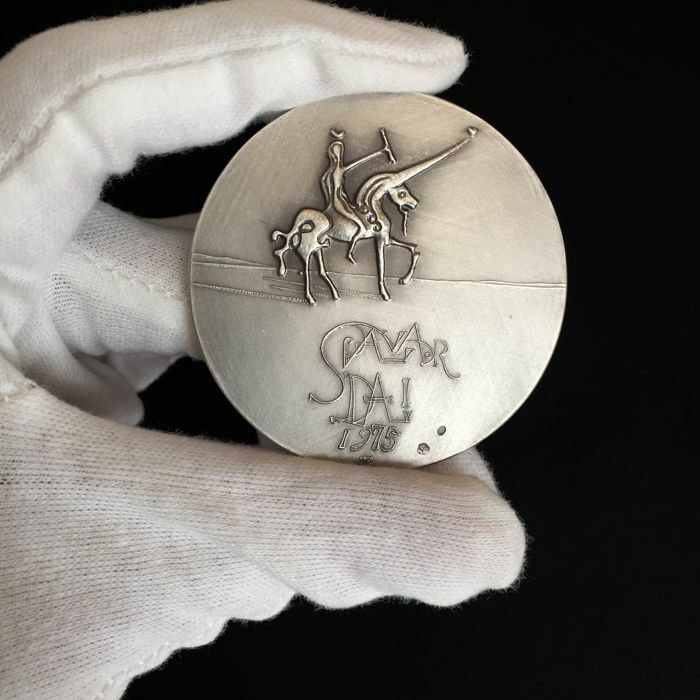 ‘Salvador Dalí 1975’ signature engraved. Preserved in perfect condition (see photos).